Today we are spilling the tea on the 4 denim styles you need in your wardrobe for spring/summer . 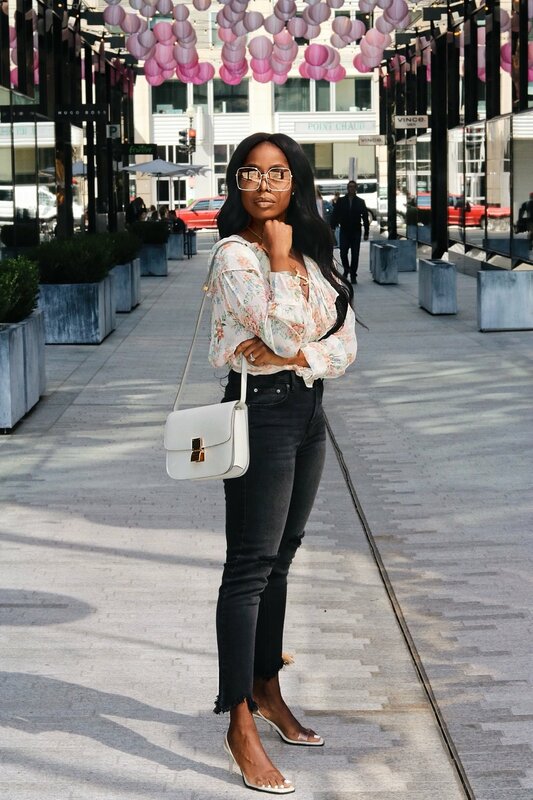 Denim is a major key for warm weather months and can go from day to night if done right, so keep reading to get the scoop, and don't worry I have included links below of my favorite pairs! The Flare: The ultimate summer staple and they are perfect for a casual yet elevated look. The key here is to find denim that has a high waist and slight stretch to flatter your figure and give you that sucked in feeling. I prefer a medium wash for its versatility, pair these with a t-shirt for a casual vibe or a silk camisole for a night out. The most asked questions is what shoes to wear, I always choose a pair of wedges or some type of platform that is comfortable. No one will see them so their main function is to give you height! The Skinny ( with frayed hem): Okay, I know we all have a pair of skinny jeans in our wardrobe but I have to emphasize the frayed hem is what makes these so cool. I prefer pairing them with chic ladylike tops to give a more put together look. This style is great paired with a statement shoe since it shows off the ankle so well. I also prefer my skinnies in black because they make me feel snatched and that is always the goal, lol. Vintage Straight Leg ( high waist): Now this style has been my favorite for about a year now and they just keep getting better! I am currently obsessed with this style but with a button fly for super vintage feel, and of course they have to be high waist! For summer go with a light wash and a stiffer denim to get that laid back vintage feel. Balloon Leg: This is for my trendsetters, who love to rock the new new before its cool, you need to look for a high rise fit with room in the thighs and tighter at the ankle. These are currently very hard to find because they are so new and because they can be a little tricky to pull off. 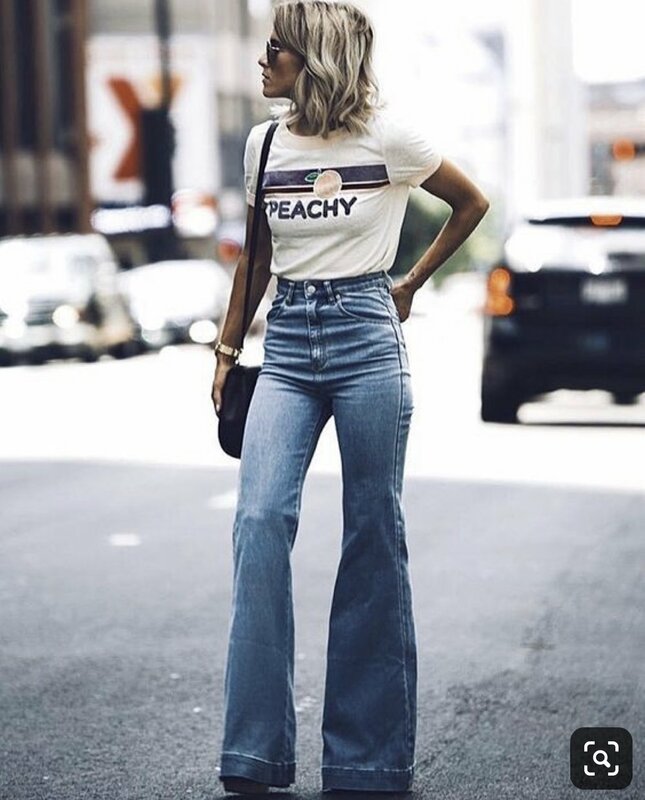 I plan on going the thrifting route and I am currently looking for an 80s or early 90s style jean that is high waist and baggy in the leg, I also plan on rolling them up like the photo shown. Let me know in the comments below which style you are excited to rock this summer and any suggestions for styles I need to put on my radar! Here are a few of my denim favorites!